Brighton identified smart home technology as the way to differentiate their properties. They saw that residents in general were adopting smart devices more rapidly and were looking for that technology in their apartments. Brighton searched for a smart technology platform that not only elevated the renter experience but that could also be measured, easily managed, and actually provided a rent lift. After an in-depth analysis into a few smart home technology platforms, Brighton found that most of them had missed the mark. David Turnbull said of the research experience, “Those platforms were complex, not intuitive, and lacked some important management tools.” In contrast, Dwelo offered exactly what Brighton was looking for. 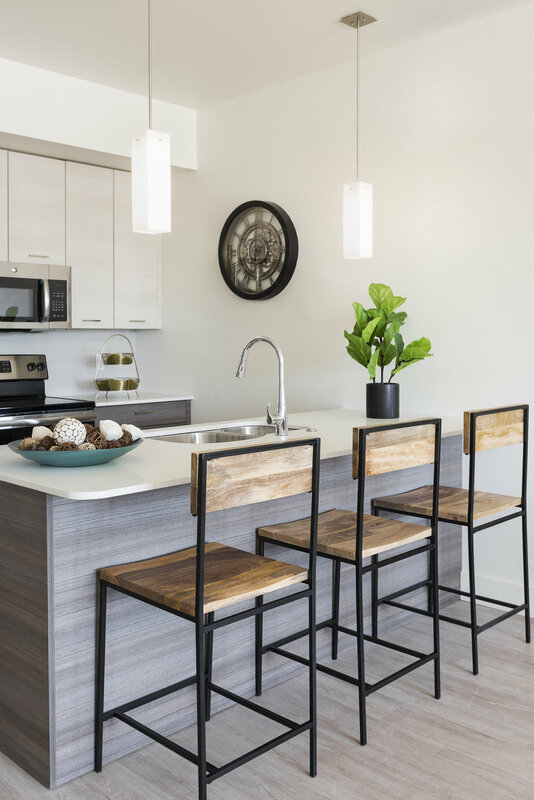 Through Dwelo, Brighton can offer that “vacation” lifestyle by giving residents complete control of their unit. With smart lights, locks, and thermostats residents can now manage their living space with a phone app and voice control from anywhere. Brighton can also give its property managers the tools to more efficiently manage vacant units, security, maintenance, and accessibility. Brighton implemented Dwelo into their flagship property Arboretum in Boise Idaho immediately and saw instant results. “We're seeing a 100% adoption rate and $25 rent premiums.” said Turnbull. Since the installation of Dwelo, Brighton’s management team and residents have also seen major benefits. For example, the number of resident lockouts reported has dropped to zero. Community Manager Hillary Deeds said of Dwelo, “Our residents love Dwelo. They get excited that they can manage their apartment from their phone and have the ability to let their guests in from anywhere. We have a lot of residents that travel and they love the away mode so they can save energy while they are on the road”. Brighton is so pleased with the results at Arboretum that they have already committed to rolling Dwelo into their entire portfolio-both current and future. In a joint venture with Brighton, Pacific Partners Residential was so impressed with Dwelo they have decided to follow Brighton’s lead. PPR has also implemented Dwelo, now, in over 500 units with more to come.